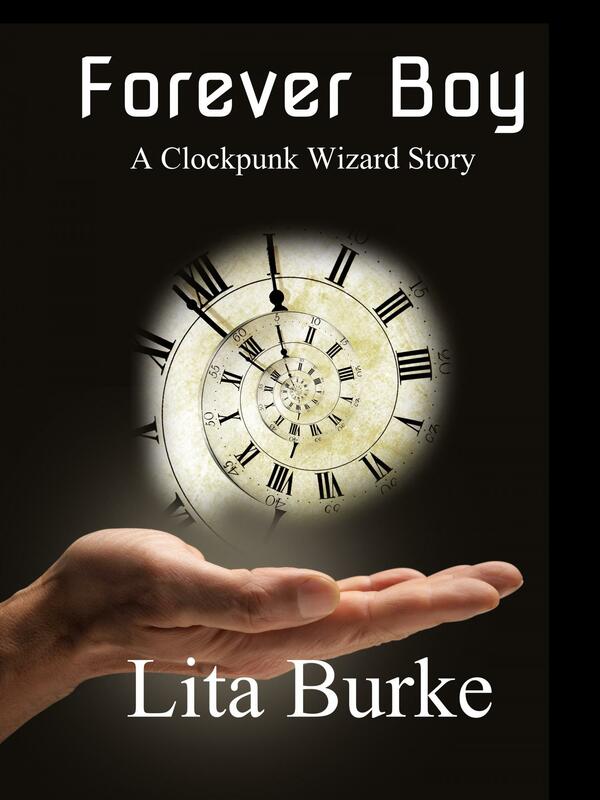 Copyright 2012 by Lita Burke. All rights reserved. The ghost crossed his arms and leaned against the street fountain’s basin. Lanith froze midstride. 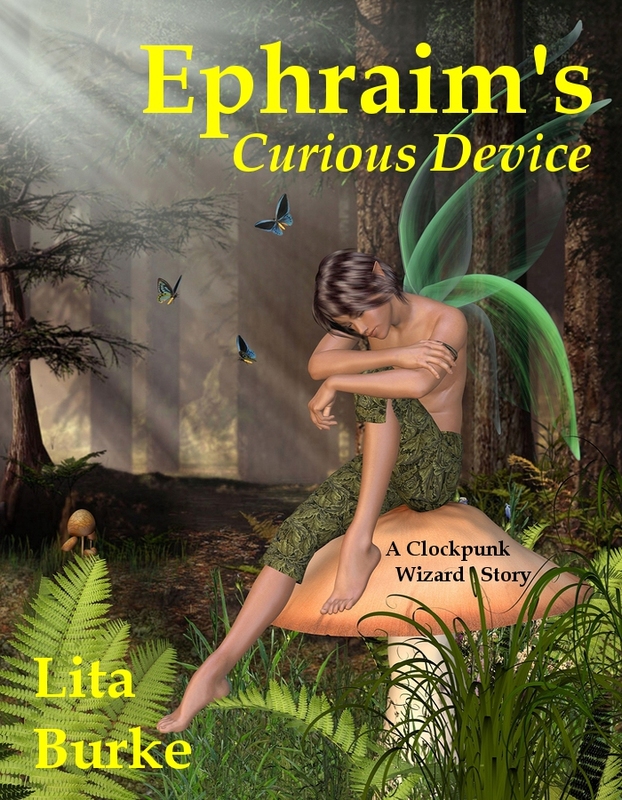 Arnl’jhott coiled his tail around her neck to keep from falling off her shoulder. The dead magician pointed uptown. Smoke curled over the rooftops like vine tendrils groping for the sun. Dread blossomed in her gut. 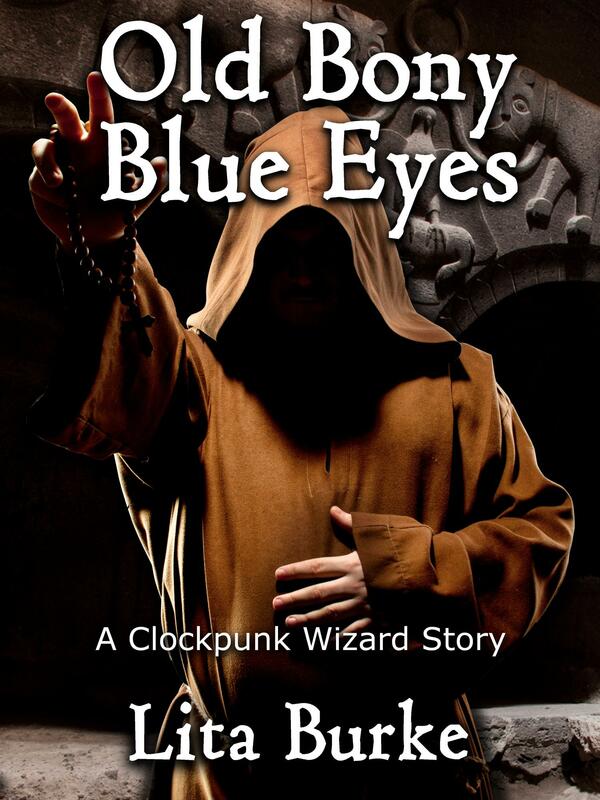 Lanith twisted the orphan boy’s ghost ring around her little finger. She had been skeptical, but proof stood by the fountain. His handmade gift could truly summon ghosts. The Sciomancer opened his mouth to answer. Lanith’s nervous fingers were too much for the magical bauble. 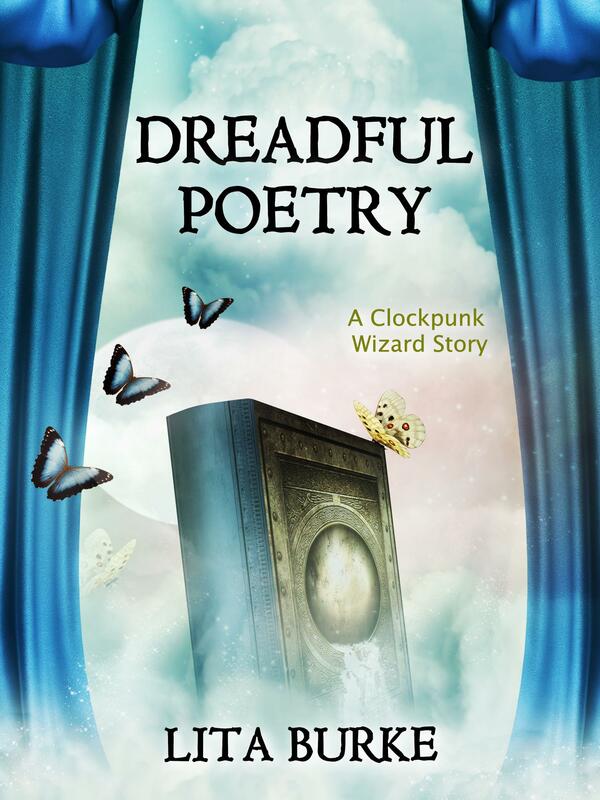 The delicate ring snapped and its pieces tumbled to the cobblestones. The ghost vanished. Arnl’jhott settled back on her shoulder. Lanith hurried east on Byrtwold Street, past the cooperage where saws rasped and the odor of shaved wood drifted into the street. A string of funerary shops filled the air with tinkling wind chimes and sandalwood incense. Gawkers now poured into the street, drawn to the excitement of the uptown fire. The crowd slowed her to a stop. Her apprentice squeezed through the throng. Nelwina’s brown hair had loosened from its braid and clung to her sweaty face. Lanith elbowed her way to the front of the crowd. Two magicians stood by the street fountain in front of Tredan’s Magical Curios. Mer spells drew water from the basin, turned it into a sparkling arc, and dropped the water on the fire’s sizzling heart. Another pair bewitched the spent water into the gutter where it swirled down a drain and out of sight. Other magic workers wove a Fyre Perimeter Spell to keep the flames away from nearby buildings. She clung to Nelwina. The fire gorged itself on Lanith’s life. The Maji’kers turned the fire into hissing smoke. More spells drew off the steam and heat. After an eternity, they finished their magic work. Only a black scar remained of the curio shop, their nearby apartment, and her husband’s lush rooftop greenhouse. The entertainment was over. The onlookers drifted away. Lanith struggled to shield her magical empathy from their excitement with the fire’s spectacle. The crowd’s satisfaction with having a proper story for tonight’s dinner table hurt her more than the fire’s damage. “I’m sure Tredan got out,” Nelwina said. She walked to the edge of the destruction and stopped. 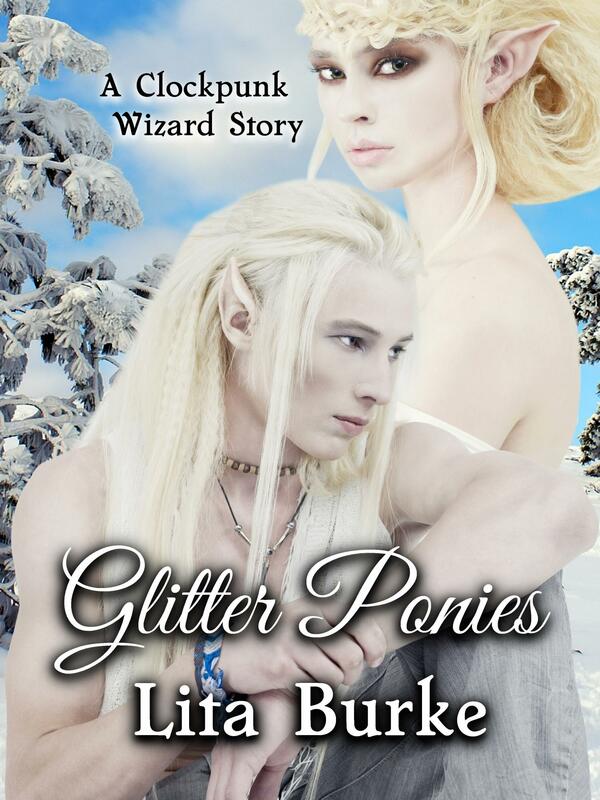 Lanith coaxed the trembling dragonette from her shoulder and cradled him against her chest. Lanith took a breath. It tasted of bitter soot. Her second breath drew a blot of magical essence out of Arnl’jhott and lodged it in Lanith’s gut. She pictured her husband’s blue eyes and deep voice. Easy laugh. Felt his warm hand on her arm. Tredan, are you here? Her spell, fueled by the dragonette’s magic, floated the question into the fire’s remains. She shifted Arnl’jhott back to her shoulder and stepped forward. Cinders crunched. She picked her way into the worst of the devastation and squatted to look closer. A dull gold chain poked out from the detritus. Lanith searched her pockets, found a white lace handkerchief, and wrapped it over her fingertips. Lanith pulled the chain. A partly-melted charm was attached to it. Arnl’jhott craned his head to look. Lanith stood. She wrapped the charm in the now filthy handkerchief and put the bundle in her pocket. A sea breeze swirled black ash and lifted it into a powdery veil. For a heart-stopping moment, she thought Tredan’s ghost surrounded them. But no. It was only restless air playing with the ruin of their lives. 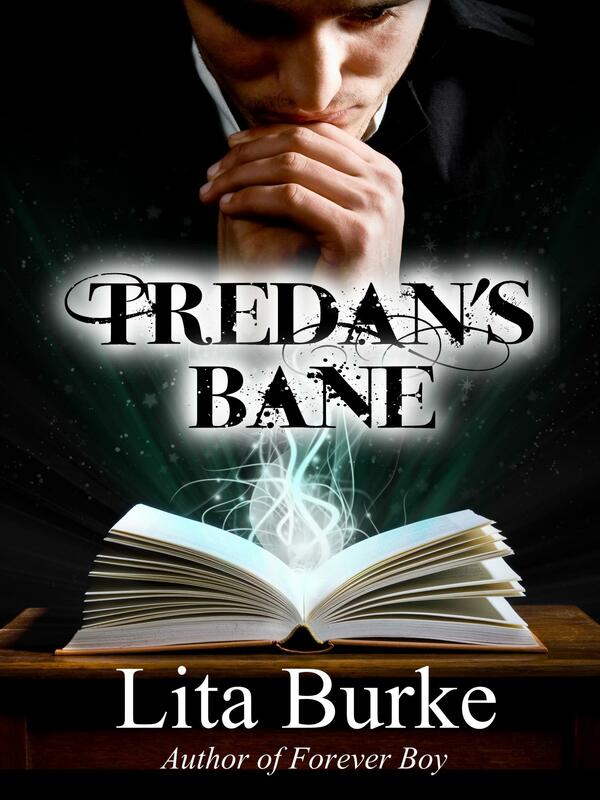 Read more chapters of Tredan’s Bane at Amazon. 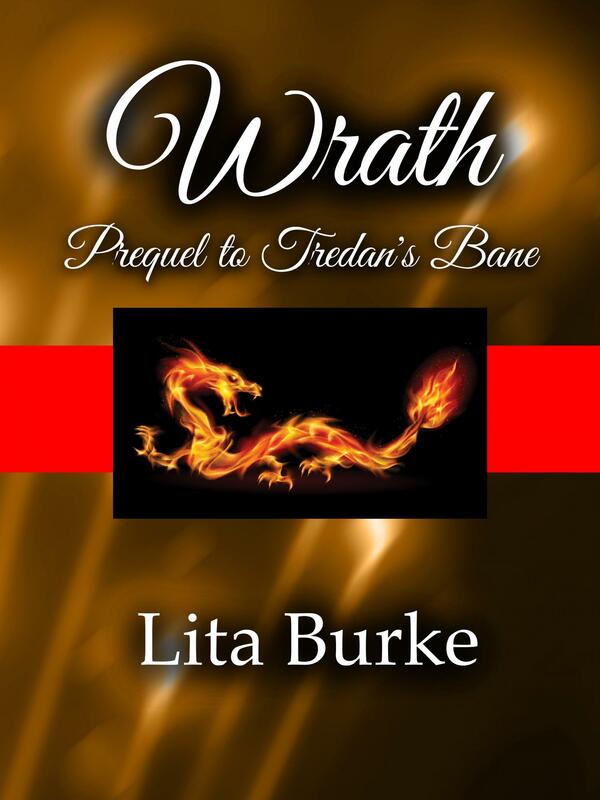 Read more about Wrath, Prequel to Tredan’s Bane.